Like to talk? Like to help? 211 Tompkins Cortland is looking for volunteers! Help to staff 211 Tompkins Cortland Community Services Center by responding to phone inquiries, online chats, walk-ins, and emails. Provide assessment, problem-solving, and information and referral services. Conduct follow-up and advocacy services when appropriate and participate in quality assurance initiatives. Provide eligibility screening, appointment scheduling, and other services related to 211 Tompkins Cortland special contract services. Become familiar with the iCarol database we use and other resource materials such as reference guides, internet, etc., used to assist clients. Learn and follow established 211 Tompkins Cortland policies, protocols, and procedures and stay current on service and procedure updates, etc. 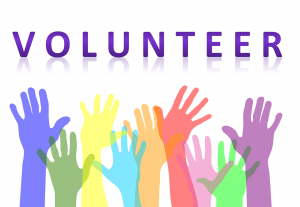 Depending on skills and interests, assist with publications, database management, web site maintenance, outreach/publicity projects, local and statewide networking initiatives, and other special projects as required. Participate in two initial 4 hour training sessions followed by one on one orientation sessions on database use, community resources, practice calls with current volunteers/staff. Ongoing in-service training sessions required. Qualifications: Excellent communications skills (written and verbal); familiarity with Microsoft Office applications helpful, however, comfort with learning computer systems is more important; desire to learn the human service network and help people solve problems. Demonstrate a helpful, positive demeanor, respect, fairness, and nonjudgmental approach with each caller, walk-in, or online chat service recipient. A minimum of one four hour shift per week Monday-Friday between 8:30 am and 5:00 pm for a minimum of 6 months is required. Individuals from all backgrounds welcome! Completed applications should be mailed to the Human Services Coalition, 171 E. Martin Luther King Jr./State Street, Ithaca, NY 14850 or emailed to iandr@hsctc.org. Not the right opportunity for you? Find other ways to give your time to local organizations here.